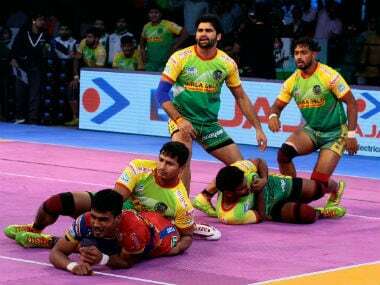 Preview: Patna Pirates take on Bengaluru Bulls for the final time this season at the Tau Devilal Sports Complex in Panchkula on Wednesday. A win for Bengaluru Bulls will take them 22 points clear in Zone B while a win for Patna Pirates will see them close the gap on Bengaluru Bulls to 12 points. The two sides have split victories in their two meeting this season. While Bengaluru Bulls won the first encounter between the two sides, Patna Pirates prevailed by three points the last time these two sides played. 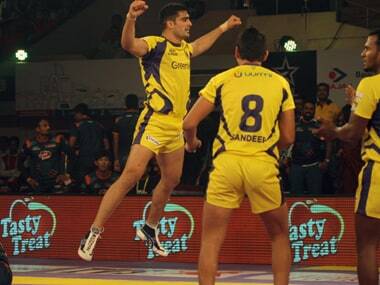 Pardeep Narwal and Rohit Kumar starred for their respective sides with Super 10s while Jawahar Dagar managed a High 5 for Patna Pirates in that game. Jaideep has led Patna Pirates’ defence brilliantly this season, having managed 56 tackle points in 19 games so far to sit eighth amongst the best defenders of the season. Among the league’s most successful Left Corners, Jaideep will have his work cut out as he goes up against an in-form Bengaluru Bulls raiding unit consisting of Pawan Kumar Sehrawat, Rohit Kumar, Harish Naik and Kashiling Adake. 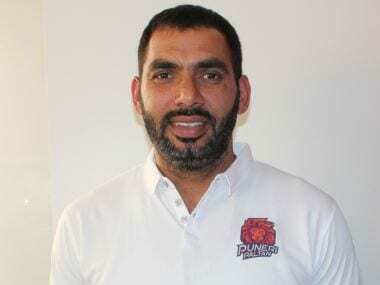 Bengaluru Bulls’ skipper has come into his own after their home leg. He is their second-most successful raider with 129 raid points in 19 games. With Left Corner Jaideep in excellent form, Kumar will have to not just score points at regular intervals, but also ensure that the raiders are cycled well to keep the defender guessing.